Baylen is a country music specialist, who hails from Bristol, Tennessee. He’s lived in London for over a decade and continues to make Country and Americana music his focus, as they say you can take the boy out of the country but you can’t take the country out of the boy. Since November 2018 Baylen is a regular presenter and contributor on the recently launched Music TV channel Total Country on Sky. 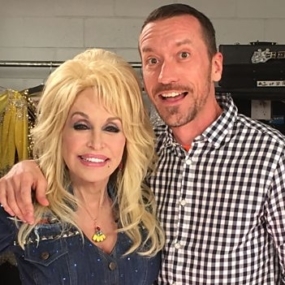 Previously he contributed to the BBC Radio 2 where he presented specialist programmes including Tennessee Boy Meets Tennessee Girl – a show dedicated to the amazing Dolly Parton and which included a very exclusive interview with the lady herself. Other work for Radio 2 includes a documentary on The Grand Ole Opry and Baylen Leonard’s Country Christmas. 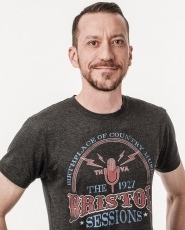 He is also part of the Radio 2 presenting team for their coverage of C2C: Country to Country festival and has presented shows including A Beginner’s Guide to Country and Celebrating C2C for their pop up station Radio 2 Country. Over on Chris Country Radio Baylen presents the hugely popular The Front Porch , a country music show which enables Baylen to explore his passion for finding the best new music in this ever exciting genre. He is also known for his work on BBC Radio London where he used to co-present and produce The Danny Baker Show. He continues to present specialist music shows for the station. As well as being an Executive board member of the Americana Music Association UK, Baylen is Artistic Programmer of Nashville Meets London, a free summer Country Music festival. He is passionate about working closely with Artists and Promoters to gain exposure and provide a platform for Country, Americana, Bluegrass, and Roots music in the UK and abroad. Baylen has hosted and DJ’d at some of the UK’s biggest venues and festivals including VFestival, Bestival, The Southbank Centre, Tate Museums, Country2Country, The Royal Court Theatre, Science Museum, Brooklyn Bowl, Nashville Nights, and The Millennium Centre in Cardiff. Baylen is still perfecting his Granny’s southern biscuit recipe, drinks sweet ice tea with lemon and still says Y’all.